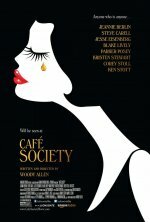 Cafe Society release date was Friday, July 15, 2016. This was a Limited in theaters release. Friday, July 22, 2016. This was a Expansion release. Friday, July 29, 2016. This was a Nationwide in theaters release.